We service and repair all brands of printers, fax, and copy machines, including HP Printers (Hewlett Packard), Canon, Xerox, Lexmark, Brother, Epson, and more. We provide corporations, small businesses and individuals with certified on site and carry in printer repair services and upgraded printer parts. 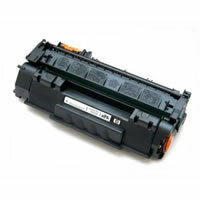 Our qualified technicians repair and clean laser and office jet printers,copiers, and fax machines. Contact us to learn how we can set up a regular maintenance schedule for your printers so they last longer and need fewer repairs.